Every medical injury is different. Some are impossible to predict and even more difficult to treat. Despite the significant amount of progress made in the realm of traumatic brain injuries, this description is still accurate. While some people may recover fully from a traumatic brain injury, other families could be left dealing with chronic, lifelong complications as a result of their deficit. One of the best ways to deal with neurological damage is to prevent the injury from happening in the first place. In order to do this, people should understand some of the most common causes of brain injuries in the local area. Workplace Injuries: There are many different fields that could expose people to potential neurological damage. While common examples include fields that work with heavy machinery such as construction, even desk jobs run the risk of traumatic brain injuries. For example, someone could slip and fall down the stairs at work. This can lead to serious brain trauma. Vehicular Accidents: Auto accidents typically have the potential to lead to a traumatic brain injury. When someone collides with another vehicle or object, their head could strike the steering wheel, windshield, dashboard, or window. This could cause serious trauma to the skull and the brain tissue inside. Serious accidents could even lead to a wrongful death. Pedestrian Injuries: When people are walking down the street, they are vulnerable to large, heavy, fast-moving cars. If a driver is distracted, they could collide with a pedestrian, leading to a litany of serious injuries, including potentially catastrophic brain damage. Everyone should look both ways before crossing the street and pay attention while driving. These are only a few of the many different causes of traumatic brain injuries; however, these accidents can cause many different brain injuries that everyone should take note of. 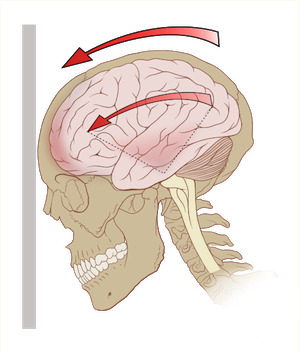 Blunt: Blunt brain injuries occur when the trauma does not break through the skull. For example, someone who strikes their head on the floor or gets hit with a baseball bat has experienced a blunt brain injury; however, the brain can still collide with the skull, leading to a serious contusion. If there is a brain bleed in a skull cavity, this can lead to serious neurological consequences. Penetrating: The other type of traumatic brain injury is from penetrating trauma. This is trauma that breaks through the skull and directly impacts the brain tissue underneath. Stab injuries and gunshot wounds are common types of penetrating trauma that can sever nerves or slice through the blood vessels that lead to serious brain injuries. All of these brain injuries have different treatments that patients and medical professionals need to consider. While some brain injuries can be treated with rest and medications alone, others require surgery. What all of these brain injuries have in common is that they have non-medical issues that require consideration as well. This is where an experienced legal provider can provide assistance. Car Insurance: Drivers are required to have car insurance in case they wind up in an accident where someone is injured. If someone is injured by a driver who doesn't have car insurance, they should still be held responsible for the individual's injuries. Proper Equipment Maintenance: Those who work with heavy equipment deserve to use machinery that has been properly maintained. Sometimes, brain injuries result from improper maintenance of heavy machinery and the negligence of those who failed to maintain it. They should be held responsible for that individual's medical care. Coverage of Medical Costs: What happens if an insurance company refuses to pay for the individual's medical care? It could require an experienced lawyer to force the insurance company to honor their contract and cover the costs of doctor's appointments, surgical procedures, tests, and treatment. Court Cases: Sometimes, the court system could be necessary to resolve some of these issues. If this happens, it is helpful to have an experienced legal professional who understands how the system works and can expedite the process. An experienced lawyer can handle all of these issues, and more, allowing the family to focus on the medical side of their recovery. Everyone deserves a helping hand in these tough situations. Contact an experienced attorney for more information. 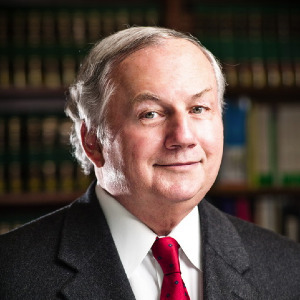 I’m Ed Smith, a Merced Brain Injury Lawyer. If you've been injured in an accident, call me for free, friendly legal advice at (209) 227-1931. I am honored to be a member of the state of California's group of the Million Dollar Advocates Forum, an organization made up of legal professionals who have either earned verdicts or settled cases worth more than $1 Million dollars for their customers. Visitors may learn more about my team with informative reviews left by earlier customers, stored on Yelp, Avvo, and Google. My visitors should look over my office's earlier verdicts and settlements here.